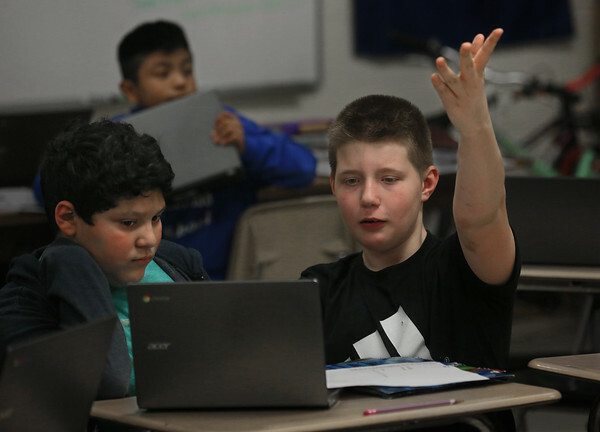 Sixth-grader Kevin Sargent, right, helps classmate Marccus DeOliveira find research information on the Web during a meeting Thursday of the after-school Homework Club at O'Maley Innovation Middle School in Gloucester. The Homework Club meets for a little over an hour every Monday, Wednesday and Thursday. It gives students the opportunity to work together, access the Internet and receive guidance from the faculty supervisor.